Forest2Market, the premier provider of market data and information about the wood supply chain, announces 2009 forest products industry results for the U.S. South. Production and raw material prices fall. Biomass prices increase. Following demand, both pulp/paper and sawmill production in the U.S. South fell in 2009. Pulp and paper mill production was down 4.5 percent overall. Pine pulp and paper mill production fell 3.5 percent, and hardwood pulp and paper mill production off 7.2 percent. Sawmill production fell by 21.3 percent in 2009, according to Forest2Market’s Delivered Price Benchmark, the only pricing service based on transaction-level data. Raw material prices for pulp and paper mills, including pulpwood, primary chips and secondary chips, also declined in 2009. Pine fiber fell by $2.11 per ton or 5.7 percent, and hardwood fiber fell by $1.17 per ton or 2.7 percent. Prices regained 8 percent in the last 3 months of the year, stemming a more substantial drop. Headquartered in Charlotte, N.C., Forest2Market, Inc. is the premier provider of market price information in the U.S. South and Pacific Northwest. Forest2Market® services are designed to help our clients better understand their competitive position. Forest2Market Price Benchmarks answer the complex supply chain questions facing manufacturers today. Our resource studies quantify the future supply and price of logs and chips. 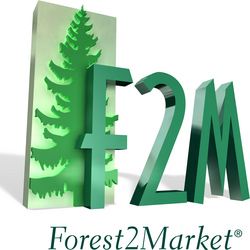 Our customers rely on Forest2Market, Inc. to provide the factual foundation they need to make operational and strategic decisions. Visit us at http://www.forest2market.com .